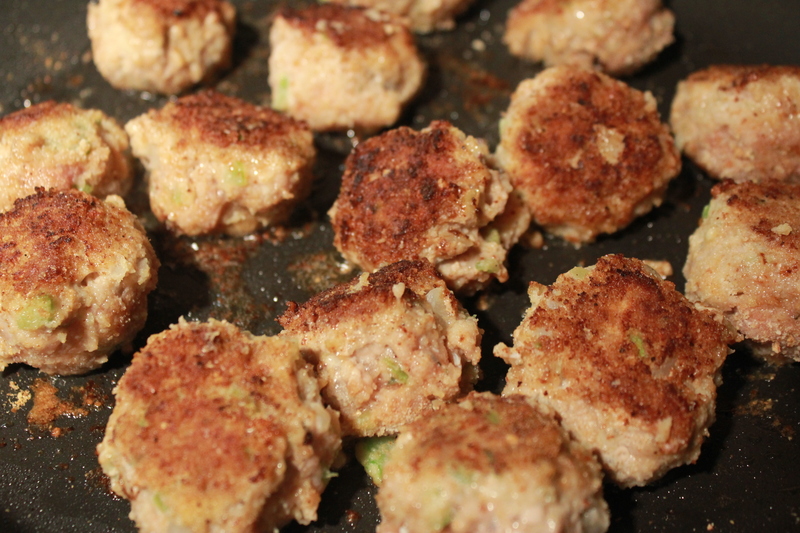 These meatballs have the right balance of seasonings that you may forget they are made from ground turkey. The addition of the paprika gives them a nice, smoky kick. Great choice, Brad! 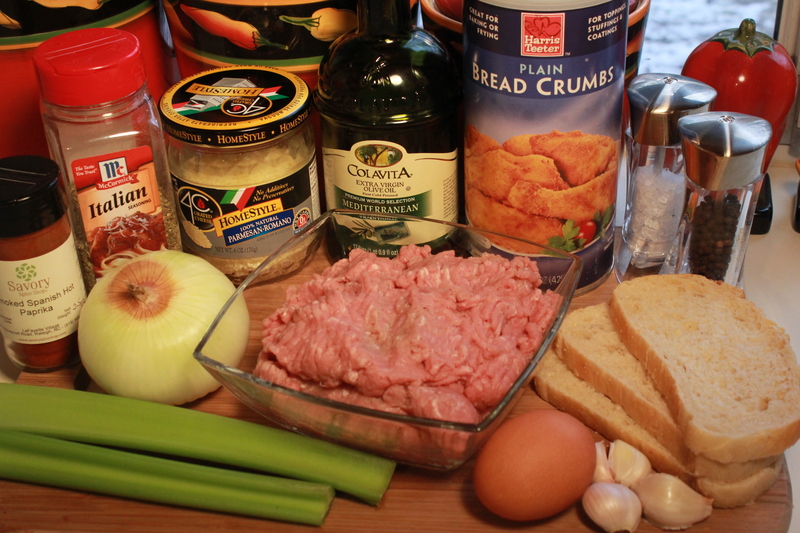 Mix all of the ingredients in a large bowl except for the dry bread crumbs and the olive oil. Heat a small amount of oil in a large skillet. 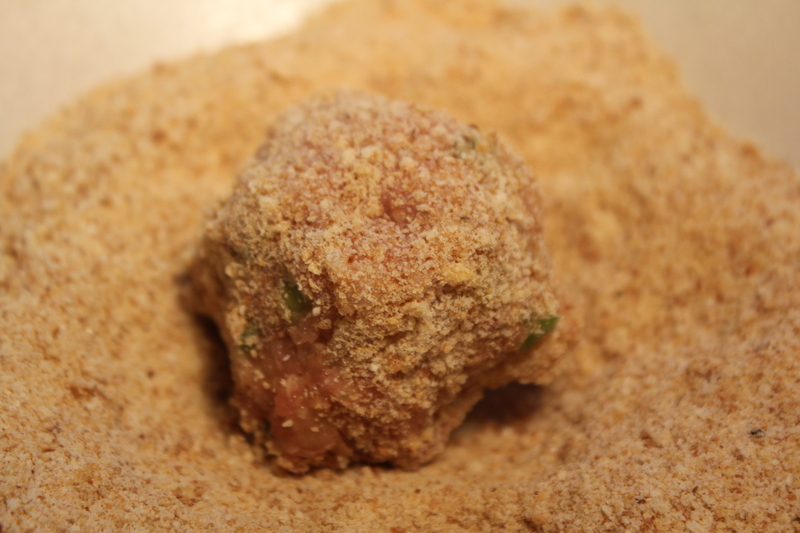 Make one meatball, roll it in the bread crumbs and brown on all sides until cooked through. Let it cool on a paper towel to absorb any grease and then taste it to see if the mixture needs more seasonings. 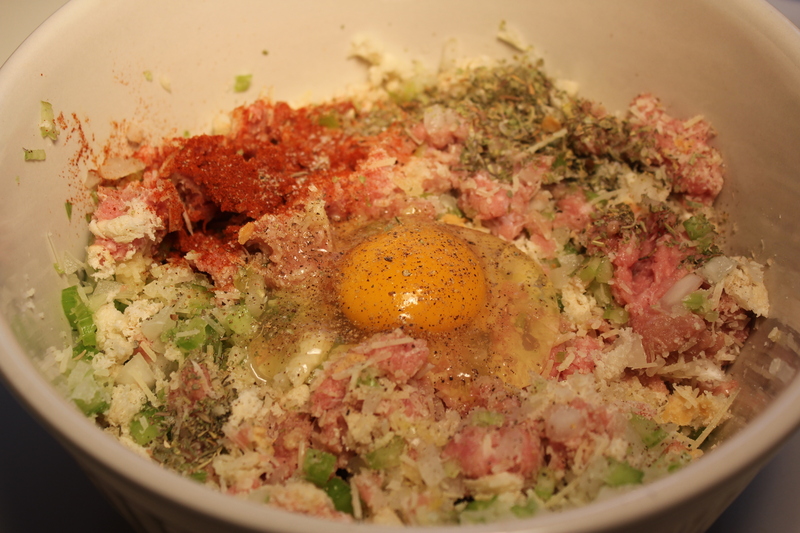 If so, adjust seasonings as necessary and then form meatballs out of the rest of the mixture. 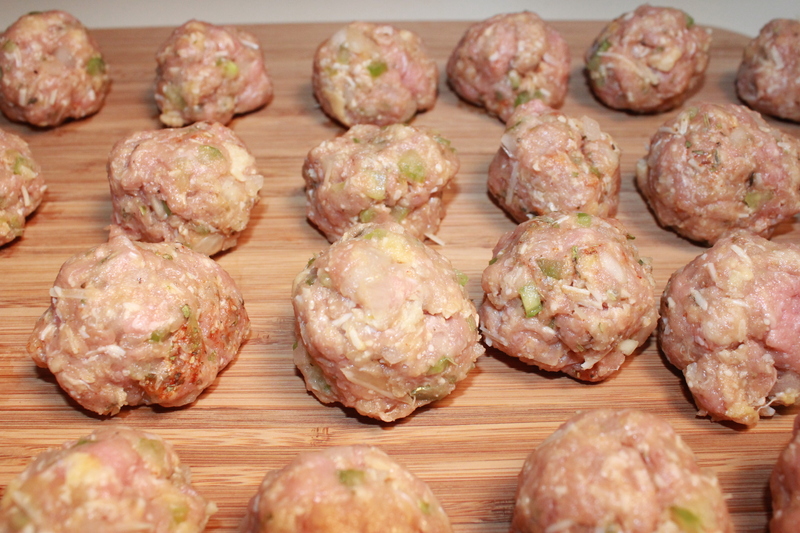 You should have about 28 to 30 meatballs when you’re done. Heat 1 tablespoon of the oil. 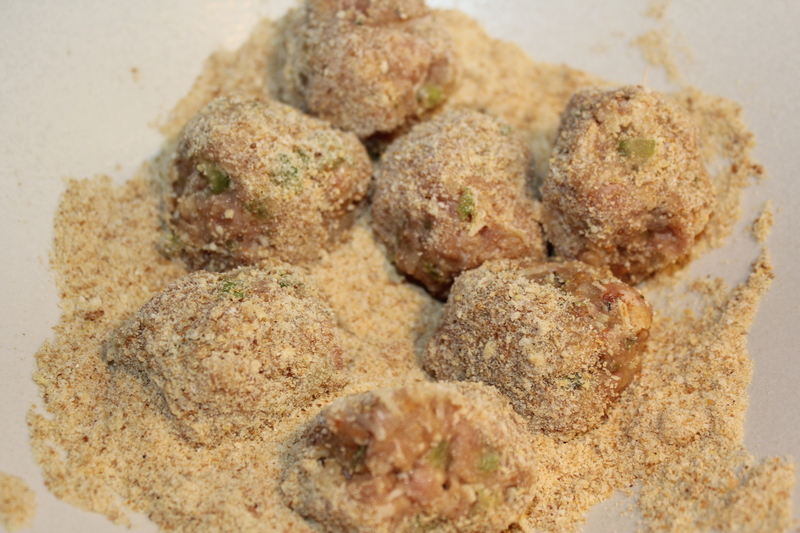 Roll the meatballs into the dry breadcrumbs. You will probably need to cook these in a couple batches, 4 to 5 minutes per side, until they are nice and brown on the outside and cooked all the way through. Add more of the olive oil to the skillet if needed before cooking the second batch. 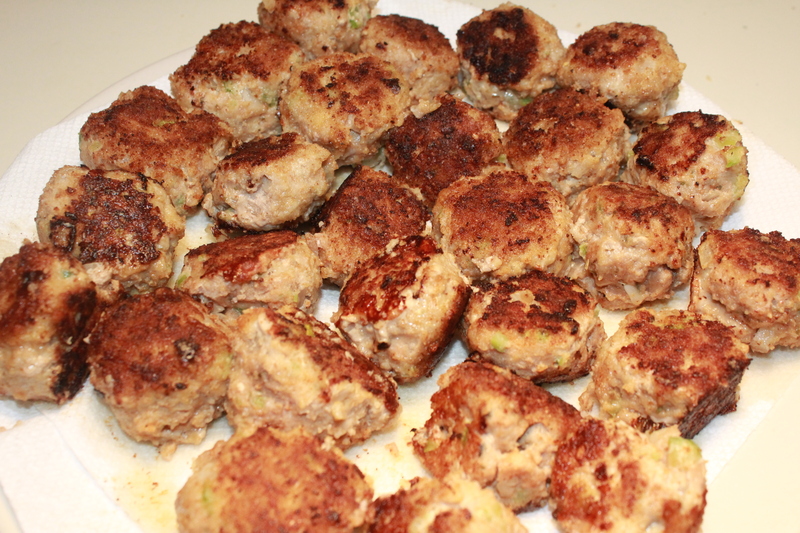 Drain meatballs on paper towels to absorb any grease. 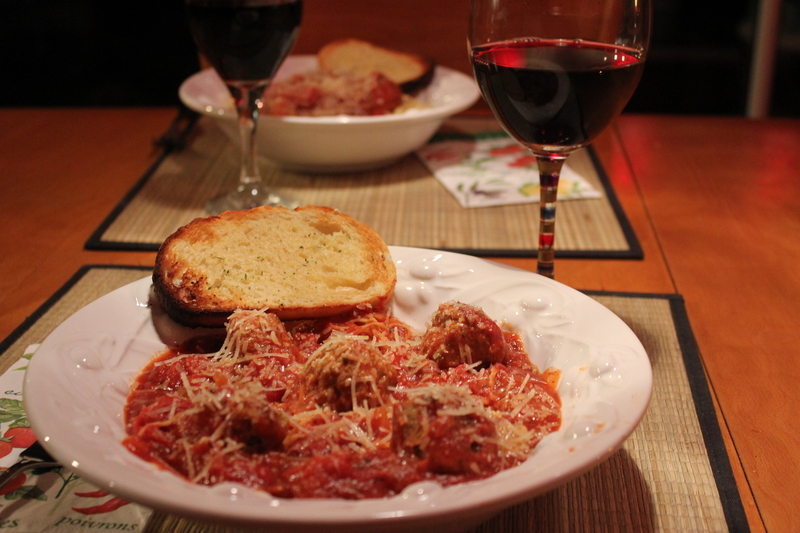 As I mentioned earlier, these meatballs go great as a topping on homemade garlic and herb pizza dough. 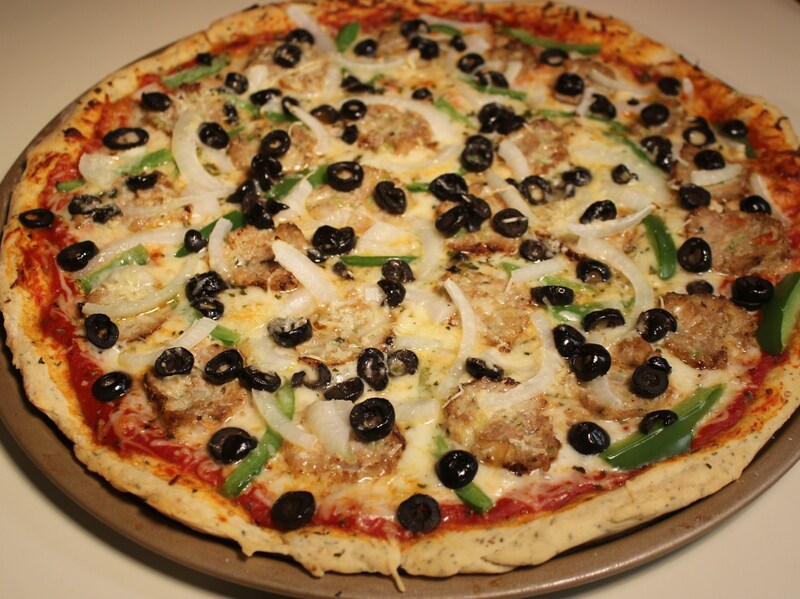 Add pizza sauce, cheese, green peppers, onions and black olives for one awesome pie! 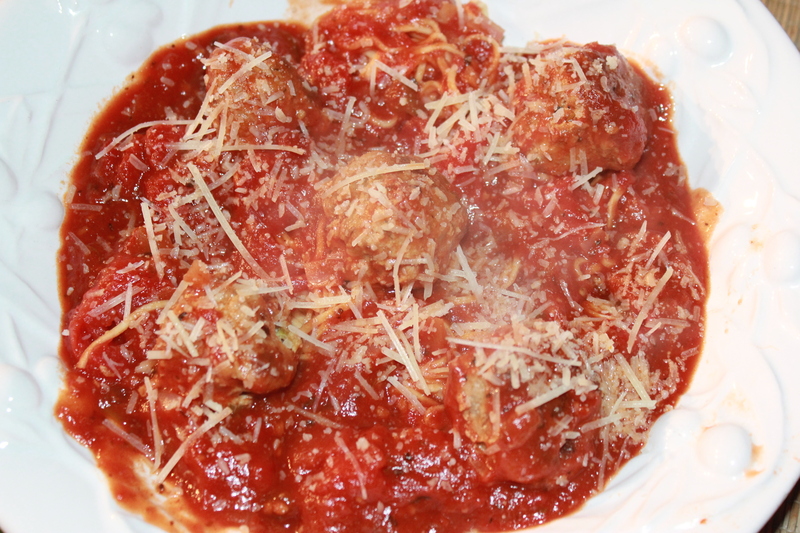 Or, put the meatballs in a spicy marinara sauce, simmer for half an hour or so, and serve over pasta. Got leftovers from that? 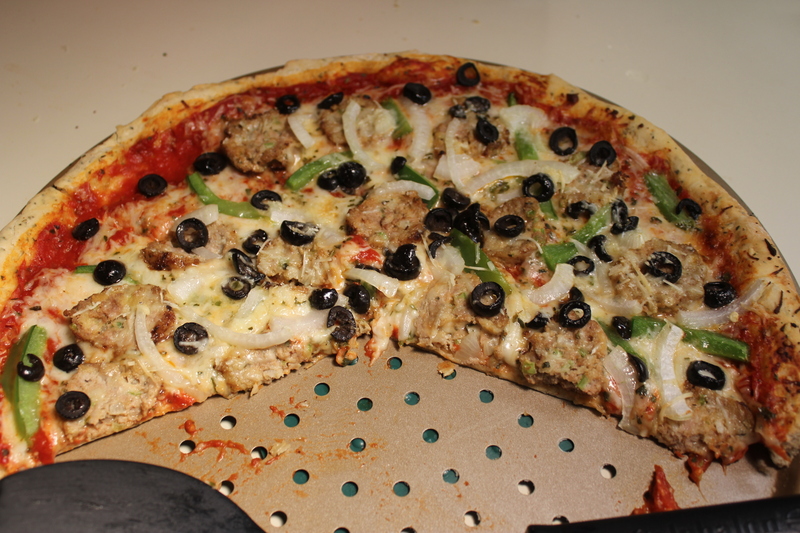 Heat the meatballs and sauce, melt some cheese on top and fill pita bread with them and other toppings of your choice. 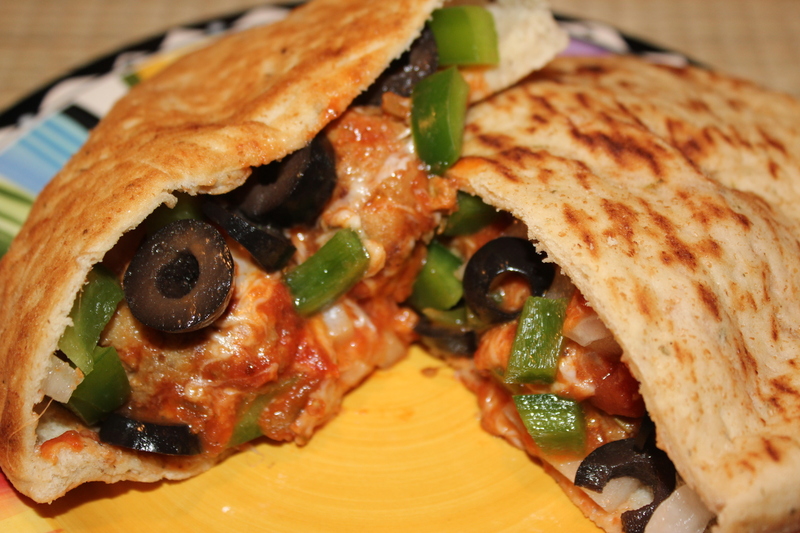 This entry was posted in Meat and Poultry, Pasta, Rice, etc., Recipes and tagged eat drink and be merry, kel's cafe of all things food, Kelley Chisholm recipes, turkey meatball pitas, turkey meatball pizza, turkey meatball recipe, turkey meatballs marinara. Bookmark the permalink.